Kirkby and Sons of Harthill bought three Commer Avengers new in 1950, two Plaxton-bodied examples and one Churchill example. 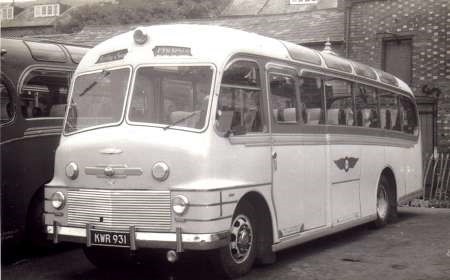 They were swiftly followed by this, another Plaxton thirty-three seater in February 1951. Churchill would build another – A Mark II – in 1953 and Duple were chosen for a Mark III in 1956. From the mid-fifties onwards Kirkby would mostly choose Bedfords but had never been afraid to try other makes including Crossley and AEC! Where was the Kirkby depot based, and how big was their fleet in the 70s. Kirkby were based at Harthill near the Yorkshire / Derbyshire border.. Despite collecting information for the last six decades my own fleet list for Kirkby, Harthill contains only 58 vehicles so far. The earliest on my list was bought new in 1947. There must be someone out there who can give us the full story about this under-reported operator? After the renumbering from a plain consecutive series (2777 seems to have been the highest reached) in September 1950, Ribble adopted a numbering system whereby numbers were reused. Those of the Standerwick subsidiary were in the 1-200 group. 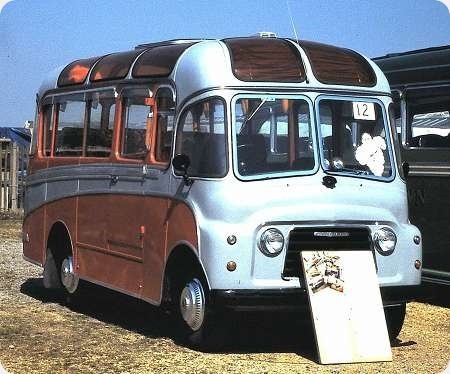 This policy was changed again after the acquisition of Scout Motor Services, whose vehicles kept their old fleet numbers, with ‘S’ prefix until the 1963 coach deliveries, when the common number series was adopted. Ribble had just the number (744, for example) but Scout had the prefix (S751, for example) while Standerwick had a (suffix, 731S), as we see above. TRN 747, in the Ribble fleet, reached Morecambe depot late in 1963 and was stored for the winter, entering service early in 1964. TRN 731 pictured above is a Leyland Leopard PSU3/3R (though I have seen some references to PSU3/3RT chassis for this batch) with a Plaxton C49F body. We see it in North Albert Street, Fleetwood, arriving for Tram Sunday on 18 July 1999. For more precise ‘placing’ of the shot, the fire escape of the North Euston Hotel is in view top left! I remember travelling on one of these on a Keswick-Manchester relief. It rode very nicely,but at Kendal depot the driver disappeared into the workshops. He reappeared muttering to us all (only about10) "Well we are going home without top gear". I had not noticed any problem, but the roads in the Lakes were not conducive to speed. As we were all going to Manchester we went on the M6. I am not certain what gearbox was in these vehicles, but the driver had no problems and the run was smooth and quiet. Somewhere along the M6 insult was added to injury when we were overtaken by one of the original Ribble group 36 footers, a Leopard/Duple that had been ordered by Scout. Andrew, The expression "ouch!" springs to mind. Not having thought about"real Plaxton" bodies recently I have looked at the different models again. The design of the above is really quite simple, but to my mind is the smartest that Plaxton produced. It has a sleek business-like look. Much the same can be said of the Alexander Y type. Please note: other makes of coach are available. 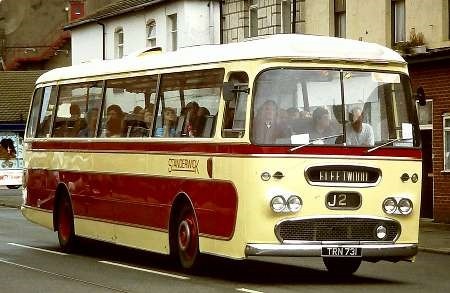 As far as I can recall, the highest fleet number reached by a Ribble vehicle was 2797, the batch 2778-97 (CRN 978-97) comprising Burlingham bus-bodied Leyland PS2s which became 228-47 in the 1950 renumbering. I don’t remember any vehicles numbered 2798 or higher, but anyone with access to a copy of the publication ’52 Years of Ribble’, produced by the Ribble Enthusiasts Club, should be able to immediately confirm or deny whether there were such vehicles. An interesting aspect of the 2778-97 batch was that, intentionally or otherwise, there was a last two digit match between fleet numbers and registrations, Ribble vehicles not having three-digit matching registrations until 1963. A few batches of vehicles did have a last-digit fleet/registration number match, but, prior to 1963 the only other batches I can recall with even a two-digit match were Atlanteans 1656-1700 (NRN 556-600) and 1801-14 (RRN 401-14).